Thunder Jet is new to many after Gordon Bay Marine in MacTier, Ontario introduced them to the Eastern market. 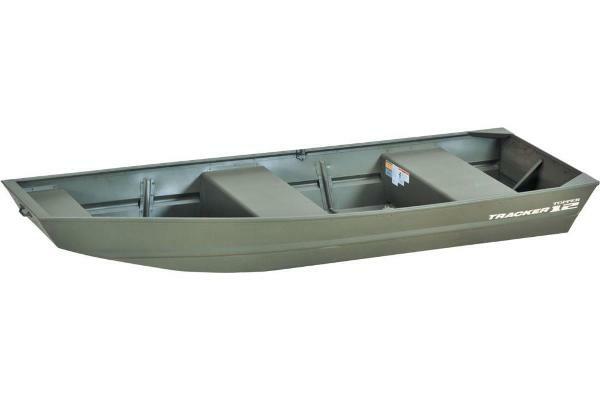 These heavy gauge aluminum boats are sure to be big hits in the rocky terrain from Georgian Bay to small lakes and rivers. 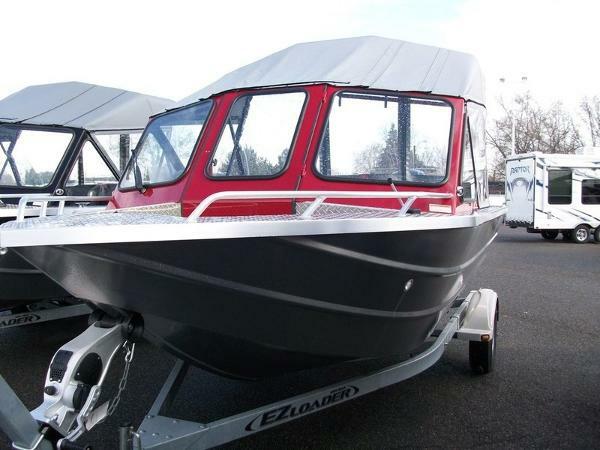 Every hull has full-length stringers and is built using a one-piece hull side and one-piece bottom side construction technique. 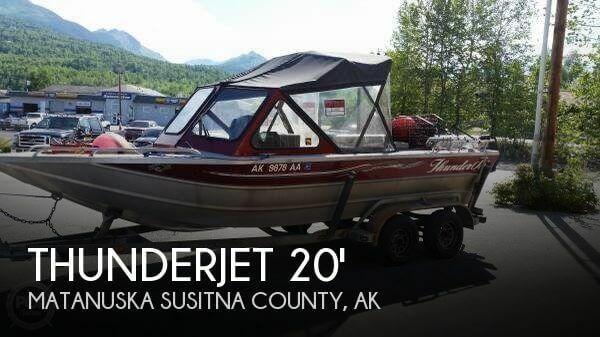 This Thunder Jet 180 Eco Jet is powered by a beast! 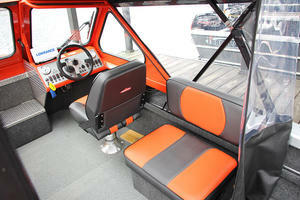 The 4.3-litre, 225-horsepower Kodiak Marine powerplant. 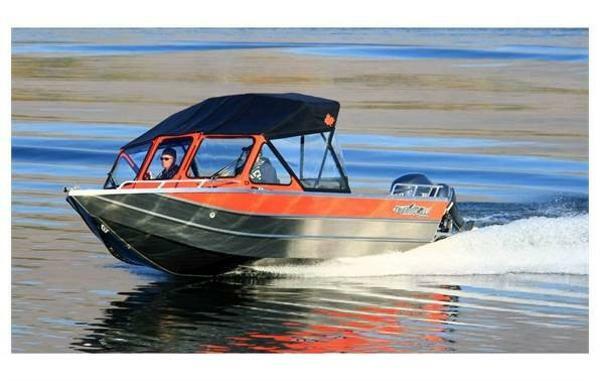 Clarkston, Washington-based Thunder Jet has options ranging from 18 to 28 feet, recreational boats or landing craft, jet powered or outboard powered. In other words, it’s a diverse lineup. 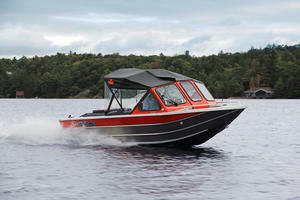 I wanted to test out a small jet boat, so we gave the 180 Eco Jet a whirl. 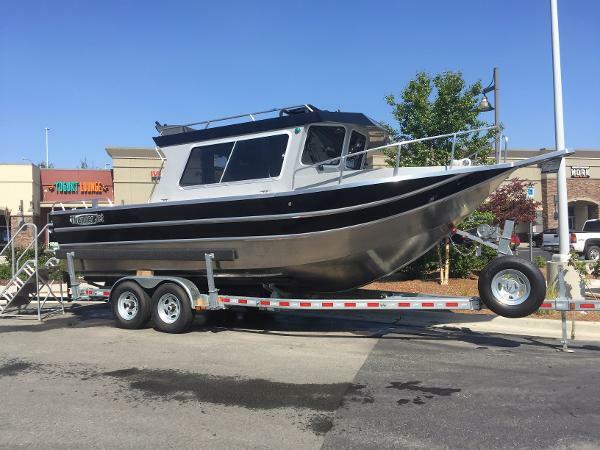 The American Turbine SD203 jet drive, referred to on their website as the "rockcrusher", is as heavy duty as the boat itself. 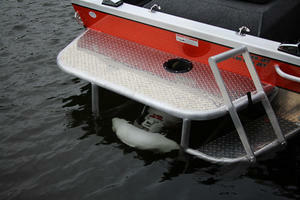 It features stainless steel wear-ring and impellor and SDR (Split Duct Reverse) all standard. The EcoJet is small, but mighty and comes in a variety of colours from subtle to flashy, like the orange machine we tested. It may seem Spartan - as many heavy-duty boats look - but there are some nice touches on board including the Lowrance fishfinder and the standard colour matched upholstery. Acceleration to plane was about four seconds, top speed was dancing between 43 and 44 miles per hour, and the best cruise speed was right at 30 miles per hour. As for handling, that was too much fun. You’re not likely buying this as a toy to just play with, but you could. It’s fun to whip in and out of turns. 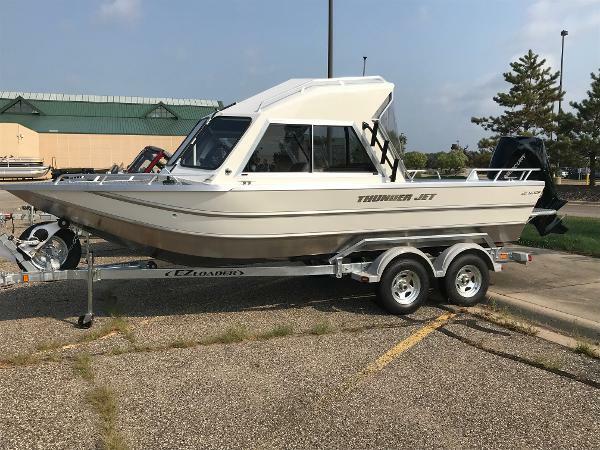 For those of us in Eastern Canada, Thunder Jet may be the new kid on the block, but with a heavy-duty pedigree dating back to 1981, these west coast aluminum beasts are sure to make a splash as everything from river runners to island hoppers and anglers.